With their abundant colours and diversity of shapes, flowers are a buoyant feast for the eyes, and often our noses as well, with their varied perfumes. But many flowers aren’t just pretty. They pack a punch for the palate too, with flavours that are surprisingly intense and addicting. They might make a tasty addition to your spring garden. Some edible flowers are from vegetable plants, like summer squash blossoms, which can be stuffed with cheese, rolled up and quickly sauteed in butter, and they’re just delicious, says Tom Yost of Carol Gardens in Riverside, California, a grower of organic herbs and vegetables. 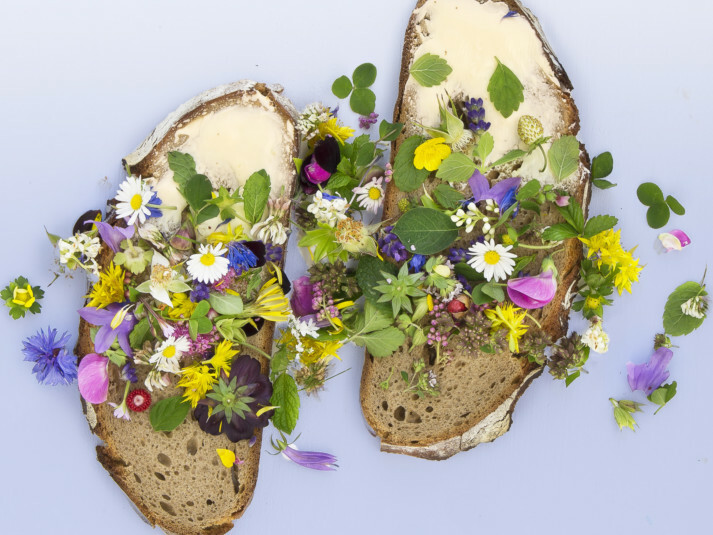 But Yost’s favourite edible flowers are from herbs, with subtler or deeper flavours than the stems and leaves. — Lavender is a key ingredient in herbs de Provence, the dried mixture of herbs that imparts that distinctive “je ne Sais quoi” quality to the cuisine of the South of France, but the tiny fragrance-packed buds also add flavour to a variety of dishes, from lavender ice cream to meat rubs to jasmine rice, said Linda Yost. “I sprinkle in four or five little flowers at the start of cooking, and it just makes the flavour pop.” Be sparing, Yost said, because too much makes food taste soapy, and he recommends using only certain varieties for eating — basically the French varieties of Grosso, Munstead, and De Provence. — Nepitella, also known as lesser calamint, is an essential herb in Italian cooking but little known in the United States. Yost discovered it a few years ago, when the owner of Riverside’s popular Mario’s Place restaurant asked if he had any to sell. Now it’s one of his most popular plants, he said, and usually sells out every year. It looks like a large-leafed oregano, “but when you eat it, it rolls across your palate four beautiful flavours — savoury, thyme, oregano and mint,” he said. “Oregano has a strong peppery finish, but nepitella ends in mint.” The deep-throated violet flowers are an excellent garnish on meats, pasta and sauces, and add a savoury minty punch to drinks.